The Finance Ministry of Ukraine drew up the draft amendments to the Tax Code of Ukraine itself, although the ministry used consultations by PricewaterhouseCoopers (PwC) international consulting company, the services of which were paid by the British government. 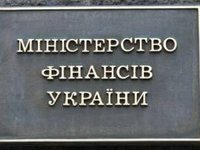 The press service of the ministry said that the new version of the Tax Code of Ukraine was drew up by the profile department of the Finance Ministry with advisory support provided by international law specialists from PwC since July 2015. "The consultations were provided as a part of technical assistance to the Ukrainian government, in particular, the Finance Ministry, in drawing up reforms, which has been provided by the British government since August 2014," the press service said. "After an open tender in Britain, PwC was selected to provide technical assistance not only to the Finance Ministry, but also in other directions of the operation of the Ukrainian government. According to the conditions of the tender, the British government pays directly to PwC, which works under our control and on our behalf in Ukraine," the press service said, citing British Ambassador to Ukraine Judith Gough. "We thank PwC specialists for advisory support in the process of designing the draft tax reform, which was passed at the meeting of the National Reforms Council," Finance Minister of Ukraine Natalie Jaresko said.